Out of ideas what to do for Easter? We have an yummy Easter recipe for you. 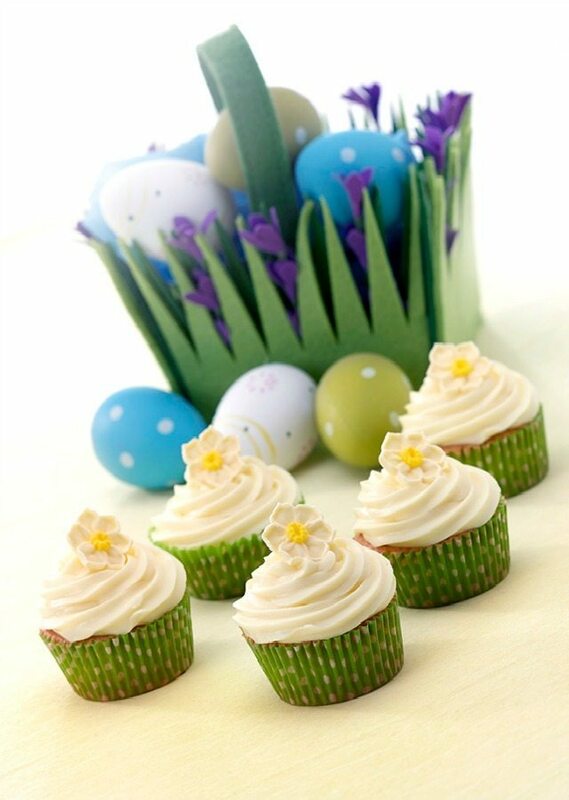 These easy to make Easter cupcakes are so simple to do, a child could do it… well almost :). Preheat the oven to 200ºC/gas mark 6. Line a muffin tin with 23 cake cases. Place all of the ingredients, except for the milk, in a food processor and blend until smooth. Pulse while adding the milk down the funnel to get a soft, dropping consistency. You can also put all the ingredients into a large mixing bowl and use an electric hand mixer. If you're making the mixture by hand, cream the butter and sugar first, beat in the eggs one at a time with little of he flour, add the vanilla extract along with the rest of the flour while folding the dough, adding the milk at the end. Bake in the oven for 15-18 minutes until the cupcakes are cooked and golden on top. To check if the cupcakes are ready insert a cocktail stick into one of them, if it comes out dry then they are done. To decorate the cupcakes use a piping bag with a large star nozzle, fill 2/3 with buttercream/icing, making sure the top of the bag is secured (with a freezer clip). Start piping from the outer edge of the cupcake and slowly work your way round overlapping the layers as you reach the centre of your cupcake. Make sure you apply even pressure to your piping bag as this insures an even swirl all the way around. Stop squeezing as you pull away from the centre of the swirl to create a nice pointed top a bit like an ice cream. 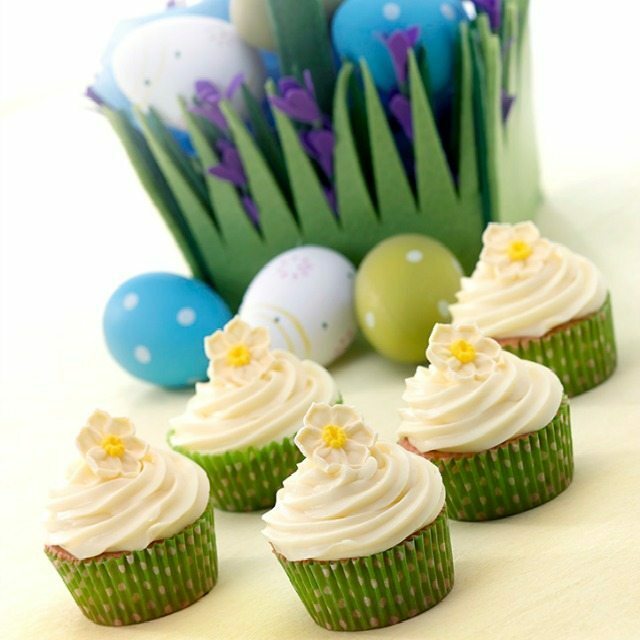 To finish up, decorate each cupcake with a single Cake Daffodil. Cupcake recipe is very useful for my girlfriend.